“You have given me hope” a friend of mine said quietly, after I told him about Martin Lewis the founder of MoneySavingExpert.com. To be honest why wouldn’t my friend find hope. Martin Lewis sold his website MoneySavingExpert.com for £87 Million in June 2012, a site he started in 2003 at a cost of just £100. MoneySavingExpert.com is a British consumer finance information and discussion website with the aim of providing information that enables people to save money. Quite simply in my own understanding, Martin Lewis just showed how it is possible to build up and sell a financial information website by putting the user’s interests first. In the video below Martin Lewis shares with us how he started out and how he got his big breaks(more than one he says). He studied law at the London School of Economics, he worked for a while as a financial PR in the City, then he did a bit of stand-up comedy in the evenings before later training as a journalist. The website was started in 2003, he says “the concept of a money-saving expert actually became popular before the recession”. Pre-recession, people wanted to find-out about managing debts, as they had borrowed too much. But in times of recession, it was all about savings. Mr Lewis says he hates being overcharged, and has nothing against spending money. In his own words: ‘I have a big problem with value. 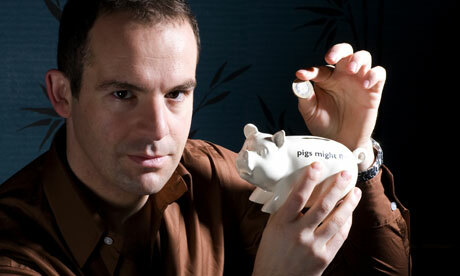 I like value, I’m not tight.’ Interestingly, Martin Lewis has managed to cash in on austerity by giving financial-savings advice on a wide range of matters. As at the time of the sale, the site commands 12 million users a month and 6 million people get weekly emails. NOTE TO SELF: The economic condition in the country does not dictate my success. Later that night my friend calls me and said he has been thinking all day, and he has come to the conclusion that “Martin Lewis really is a total legend”. As inspiring as Martin’s story is, another thing also struck me; The ability of someone’s success story to spur another person on, to push you to have a go at something you have been pondering upon. It has been a while we uploaded an article on our blog, but after seeing the new zeal in my friend, because of this story, we have decided to continue to put up success stories in order to spark the creativity in others. Who knows, reading one of our articles could push one person to become a millionaire also. This has always been the idea behind CreativityTurf. We are also going to be coming up with materials to assist people, after they have been inspired. To be inspired is one thing, keeping the zeal is another! Usually I don’t read article on blogs, however I wish to say that this write-up very forced me to check out and do it! Your writing style has been surprised me. Thank you, quite nice article. Wow, incredible weblog structure! How long have you been running a blog for? you made running a blog look easy. The overall glance of your site is great, as well as the content! Not long actually. But I have the believe that, running a blog should be made simple for easy read. It’s actually a nice and helpful piece of information. I am happy that you simply shared this useful information with us. Please keep us informed like this. Thank you for sharing. Many thanks for reading. I’ll most definitely do. It is appropriate time to make some plans for the long run and it is time to be happy. I’ve read this submit and if I may I desire to counsel you few interesting things or tips. Maybe you could write subsequent articles relating to this article. I want to learn more things approximately it! salutations from over the world. interesting article I must return for more. Real wonderful information can be found on this blog. Hi there, I discovered your site via Google while searching for a similar subject, your web site got here up, it looks good. I have added to favourites|added to my bookmarks. Do make sure to visit often and Be Inspired! I liked up to you will receive carried out right here. The sketch is tasteful, your authored material stylish. nonetheless, you command get got an impatience over that you want be handing over the following. in poor health surely come more earlier again since exactly the similar nearly very incessantly inside case you protect this hike. I will immediately grab your rss feed as I can’t to find your e-mail subscription link or e-newsletter service. Do you have any? Kindly permit me recognise in order that I may just subscribe. Thanks. I have add that to the blog. I’m extremely impressed together with your writing skills as smartly as with the layout for your weblog. Is that this a paid topic or did you modify it your self? Either way stay up the excellent quality writing, it is rare to see a nice blog like this one these days.. I have read several just right stuff here. Certainly price bookmarking for revisiting. I surprise how a lot effort you put to create such a magnificent informative website. My hope is to inspire someone towards achieving success. This is the penalize Martin Lewis: Makes Â£87Million For Himself by Simply Putting Your Interests First CreativityTurf blog for anyone who wants to act out out most this subject. You mark so much its almost exhausting to converse with you (not that I really would want…HaHa). You definitely put a new twist on a theme thats been inscribed virtually for life. Overnice block, simply great! I am not sure where you’re getting your info, but great topic. I needs to spend some time learning much more or understanding more. Thanks for wonderful info I was looking for this Martin Lewis: Makes Â£87Million For Himself by Simply Putting Your Interests First CreativityTurf for my mission. Remarkable issues here. I am very happy to peer your post. Thanks so much and I am having a look forward to touch you. Will you kindly drop me a e-mail? Your comment is pretty much appreciated. I’ve been surfing online more than 3 hours today, yet I never found any interesting article like yours Martin Lewis: Makes Â£87Million For Himself by Simply Putting Your Interests First CreativityTurf. It is pretty worth enough for me. Personally, if all web owners and bloggers made good content as you did, the net will be a lot more useful than ever before.